One of the easiest dessert recipes you can make at home, an avocado smoothie. Healthy for you too, since avocado has plenty of benefits including antioxidants to aid against some forms of cancer, potassium which can help lower blood pressure, oleic acid as a preventive measure against breast cancer, and more. For me, however, I simply like the taste of avocado. So the health benefits are just extra. And since we have an avocado tree, it's free! 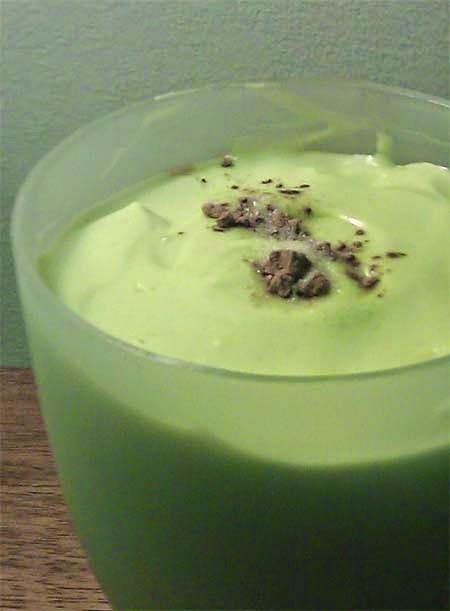 The video below is what I used for this delicious avocado smoothie recipe. Direction is simple, throw everything in a blender and set on high for 1 minute to give it a super creamy texture. The video also shows diced avocados. But that's not necessary, he even said so. The blender will take care of it. You just have to pit the avocado. Lastly, if you don't have coconut cream, just use any cream or just add more yogurt. Coconut cream adds richness to the texture and is a favorite among paleo dieters.